At the Grammy awards this Sunday, February 10, all first-time award winners will receive a specially designed, musically inclined Bulova watch. 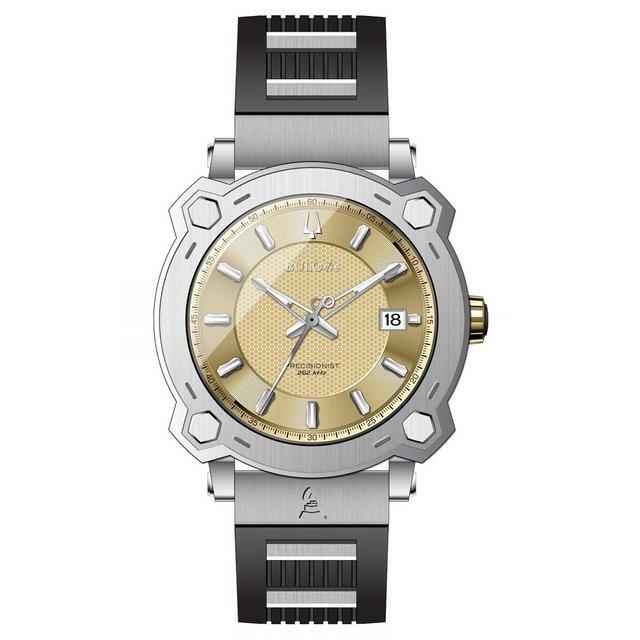 The gold-tone dial, three-hand Bulova Precisionist watch shows perfect pitch with its 44mm stainless steel case shaped like a drum and a black silicone strap accented with inserts meant to recall guitar frets. The watch, presented only to first-time Grammy award winners, will include the musician’s name, the Grammy logo and “61st Grammy Awards” engraved on a special glass caseback. The watch’s dial is made with Grammium, a gold-colored custom alloy developed by John Billings, the craftsman who creates, by hand, the gold gramophone statue that is presented to Grammy recipients. Bulova notes that it plans to debut the Grammy watch this Saturday at a pre-Grammy event featuring a performance by multiple Grammy winner Chaka Khan. Bulova, which has partnered with the Recording Academy and the Grammys since 2016, currently offers a similar Grammy watch to consumers, but with several case options, a black dial and with markers inspired by guitar heads and hands designed as drumsticks. 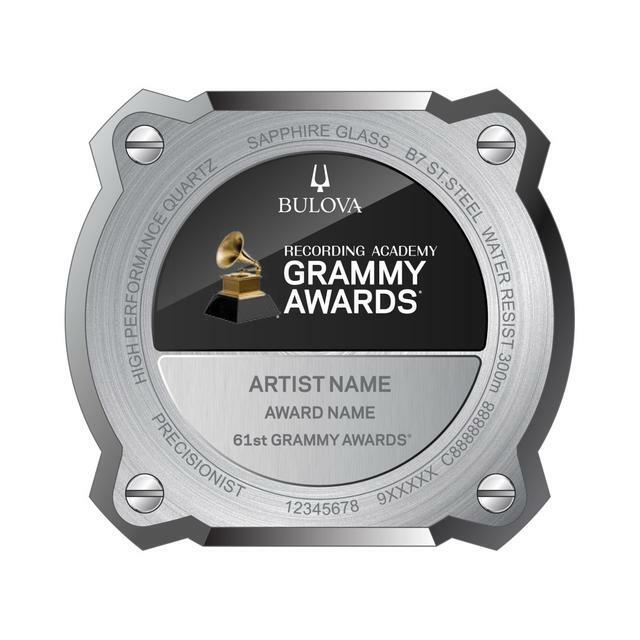 Look for a new edition Bulova Grammy watch at the end of March. 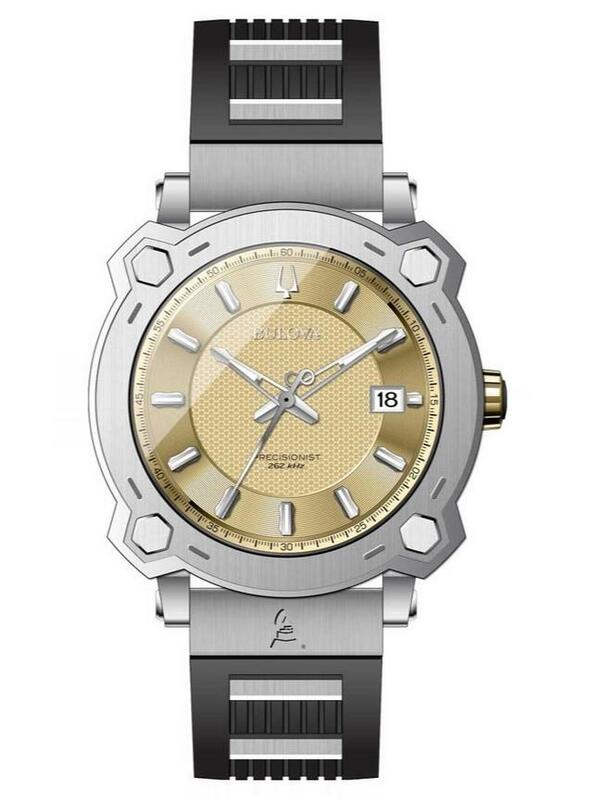 The current Bulova Precisionist Special Grammy Edition for consumers. Both watches are powered by Bulova’s proprietary three-prong quartz crystal Precisionist movement with a 262kHz vibrational frequency – eight times greater than standard quartz watches. Bulova says this increase in frequency will translate to considerably greater accuracy than is theoretically possible with a standard quartz watch. 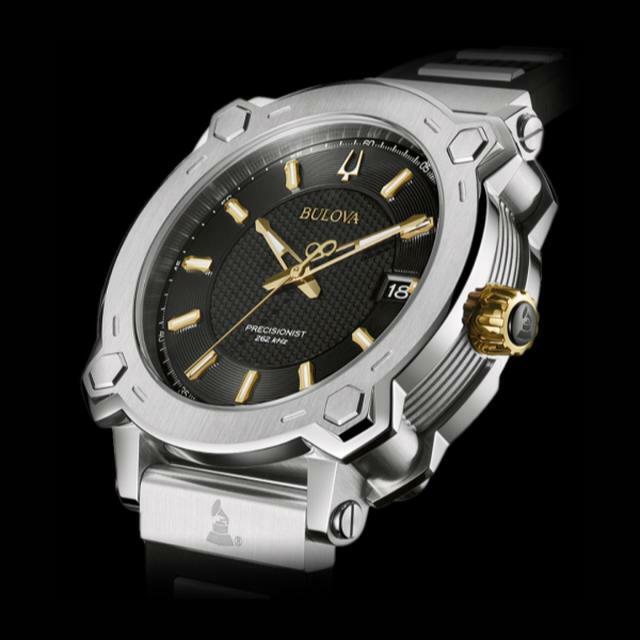 This is the movement, with its apparently ‘sweeping’ seconds hand, that Bulova inserts into the Precisionist collection Bulova debuted in 2010.